Check back for new featured alumni throughout the semester and join our alumni database. This semester’s alumni features are graduates Scarlett Walker, Kathryn Ann Key and Lynne Hutton. Scarlett Walker graduated in spring 2016 and has joined the Broadway revival cast of Rodger and Hammerstein’s Carousel. 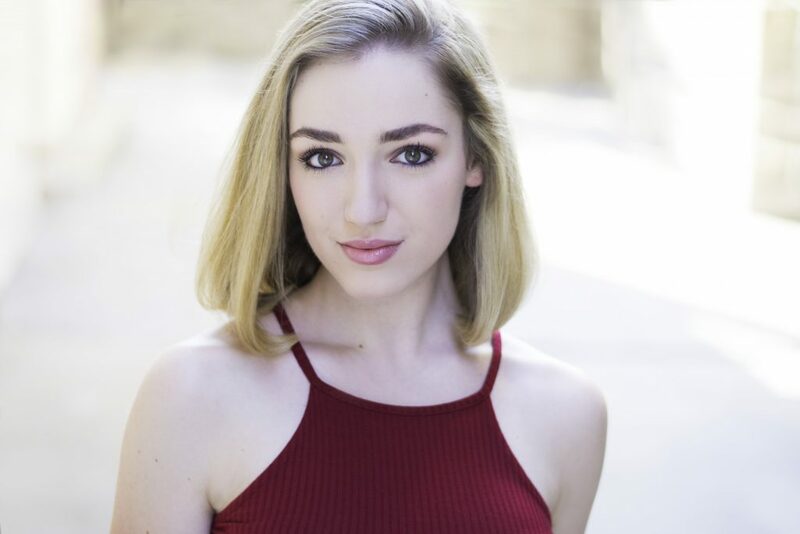 We caught up with her to chat about life in the Big Apple post-grad, and what it’s like to be headed to Broadway. What have you been up to since you graduated? Since I moved to the city in August of 2016, I have been auditioning, taking voice lessons, dance classes, and auditioning some more. In the spring, I worked at Riverside Theatre in Vero Beach, Florida, doing the show Mame. This past June I was fortunate enough to return to The Muny is St. Louis, MO, to perform in The Little Mermaid as Atina. In the Spring, I also had the great opportunity to sign with Bloc Talent Agency. How did UA prepare you for such things? UA really provided me with a safe but challenging environment to nurture and grow my talents. I feel my teachers were always very honest with me, sometimes brutally, and it truly helped me to understand the realities and requirements of this business. Their honesty also helped me to push myself to be the best I could be and realize that my best can always be better. What was the Carousel audition process like? I got an appointment through my agent to come in and sing first, with a possibility of being kept to dance. I typically lead with dance in auditions, so this was a little different for me and I knew going into this they were looking for strong singers who also danced. I was asked to bring my own cut in and prepare two songs from the show. After singing, I was kept to dance. The combo was a beautiful lyrical ballet by the show’s choreographer, Justin Peck of the New York City Ballet. I received a callback to come in the next morning. The next day I danced, sang, worked through a scene, and was released at about noon. Around 2 hours later I was standing in the subway about to get on the 3 train and I saw I had a missed call and voicemail from my agent. My heart started pounding. I called her back, and she said “Well, that’s good (you are in the loud subway) because you are probably going to scream because you are making your Broadway debut in Carousel! I let out a cry, started sobbing, and almost fell over. In true actor fashion, it was so dramatic. What advice can you offer current students? There is the saying, “A little hard work goes a long way.” That is wrong. A lot of a hard work goes a long way. Spend those extra hours in the studio. Wake up at the crack of dawn to put a full face of makeup on for your 9 am audition. Expel mediocrity from your life. Constantly pursue excellence. Exhaust yourself. The rewards of your hard work and dedication will be that much sweeter. Some of the best advice I have received came from Acting Professor Seth Panitch. “Love the work.” If you walk through life with that motto, you cannot go wrong. Also, do not ever let your fear overcome your passion. Walking into that audition room can be terrifying. This entire business is terrifying. You have to want it so much that you are willing to face the fear and rejection with bravery and determination. 95% of the battle is walking into the audition room. Just do it. Trust me. It is worth it. Anything else you would like to add? A favorite anecdote or other UA memory? 42nd Street will always have a special place in my heart. I truly adored that show. I could perform that opening number every night and never be tired of it. Thank you, [Professor] Stacy Alley, for trusting me with Anytime Annie. Fun fact: I stopped dancing and singing after I graduated high school. I spent my freshman year as a Broadcast Journalism Major with a minor in Political Science. In all seriousness, thank you to Raphe, Stacy, Seth, and all of my wonderful professors for taking a chance on a very lost 19 year old girl. Your faith in me helped to restore my faith in myself. 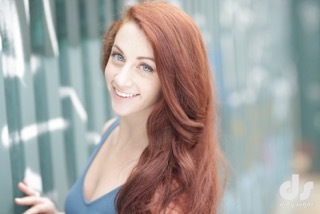 Kathryn Ann Key graduated with her Bachelor’s in Dance in the Fall of 2012. She has since appeared in several tours, on cruise ships, and network televison. She even made a stop at home this semester to chat with current students and give advice about life after graduation and in the business. Where are you based now? Right now I am based out of a 2016 Ford Focus rental car while on tour! However, I call New York City my home base. What have you been up to since you graduated and how did UA prepare you for it? After graduation, I moved straight up to New York City to start the Professional Semester Program at Broadway Dance Center. After finishing the program I booked a few tours including The Smurfs Live, Alvin and the Chipmunks The Musical, and a few different Disney Live! productions. I have also been apart of a hip hop group (Rhythm City) and danced for several music videos of local artists out of NYC. I loved how Alabama brought in other choreographers and different industry people. This helped in getting first hand knowledge of the current jobs out there. Having that inside knowledge along with the support from Cornelius [Carter] and John [Virciglio] meant the world. Throughout my career I’ve reached back to my Alabama roots to seek out help, advice, and a string pulled every now and then. What has been your favorite professional gig? My favorite professional job was the one I just finished dancing on Holland America’s Cruise Line with RWS Entertainment. It was my favorite because the cast I was working with was one of the most professional uplifting groups I had ever been apart of. The traveling was nothing short of amazing and I booked another job through the guest entertainers on the ship. What was that audition process like? The audition process was 4 years in the making. I auditioned for RWS Ent. in the Spring of 2013. Franklyn was the casting director in charge and I made it through the 4 cut process of the audition. We spoke after the audition and I had high hopes; however, the very next week I received a contract for Disney Live! so therefore I could not take the contract RWS Ent. offered me the following week. Fast forward 3 years, I saw another audition for RWS Ent. coming up and my agent at the time sent me in. Franklyn saw me and yelled “Where have you been?? !” I had missed the past few open calls because of previous jobs or no availability. But I knew this was a company I wanted to work for and so I never gave up on my dream. What advice would you give current students? You never know who remembers you or what impressions you may have made on them. You begin your audition the moment you walk out the door. Someone who is riding the train with you might be the choreographer. The person getting coffee in front of you might be casting the next big Broadway hit. Or the lady who tried to catch the elevator and you let it close might be the casting director upstairs. It’s important to remember manners, graciousness, and professionalism. I have found that this matters more than your technique in most cases. Hundreds of girls can turn, leap, and tilt but are they accompanied with an ability to be humble and thankful? Producers and Directors like to work with talented dancers, of course, but if you have an amazing and professional personality as well, then that’s when you continue to book gig after gig. Anything else you’d like to share? A favorite UA memory or anecdote? I am a proud alumni of the University’s Theatre & Dance Program. I have been blessed and booked during and after my time at Alabama. I am currently on tour right now with TV celebrity magician and illusionist Joseph Réohm as his choreographer and assistant. We tour throughout the east coast and even had a show in Alabama! I love teaching, talking through my experiences, and answering any questions students may have about life in New York City, on tour (national or international), or on a ship. If you want to know what life may be like after college please follow me on Instagram (@kathrynannkey) to see my upcoming work! Technical theatre alumna, Lynne Hutton, has returned to the Capstone this semester to fill two roles for UA Theatre and Dance. She was both the set designer for the first production of the spring, Vinegar Tom, and is also teaching the graduate-level Theatre History course. Since graduation, Hutton went directly into graduate school at NYU’s Tisch School of the Arts, where she received her M.F.A in Theatre Design. This led to jobs at 13th Street Theatre and Radio City Music Hall in New York City, and at the Alliance Theatre in Atlanta. Her career also took her into teaching at the Brooklyn Academy of Music, as well as The Dalton School in NYC. She taught both design and theatre history, both of which would come to serve her well following her move back to Birmingham. As she describes it, the universe “just worked out” to bring her home to doing what she loves, and at her alma mater to boot. While a student at UA, some of Hutton’s most important lessons were appreciation for the arts, time management, and the development and achievement of goals. She also highlighted the crucial approach taught by late Professor John Ross. As a designer, he focused on teaching students how to truly see and hear the world around them; looking for the history and layers contained within a setting to understand what is going on in any given place and time. Per his teachings and through her own experience, Hutton especially enjoys the research process. Evaluating the environment, drawing inspiration from visual artists (such as Christian Haas), and answering questions like “why are these characters here right now?” and “how do these pieces all fit together?” help Hutton formulate her designs. 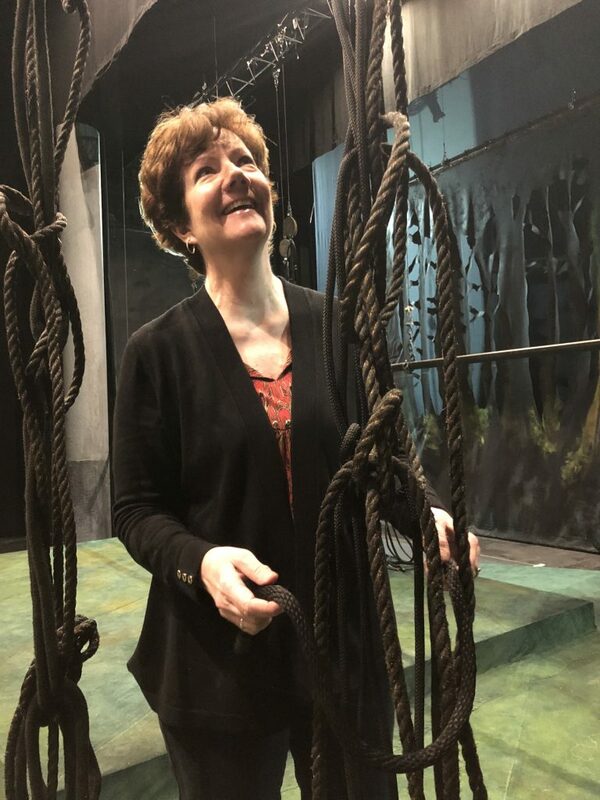 When developing the layout of Vinegar Tom, she came to the ideas of ropes and vines twisting together and hanging from the ceiling in a cold, industrial environment to reflect the eerie nature of Caryl Churchill’s play. In collaboration with Director Annie Levy, the set took on the look of a former rope factory as the script balances a 17th century village and the present day.